name 5 things. 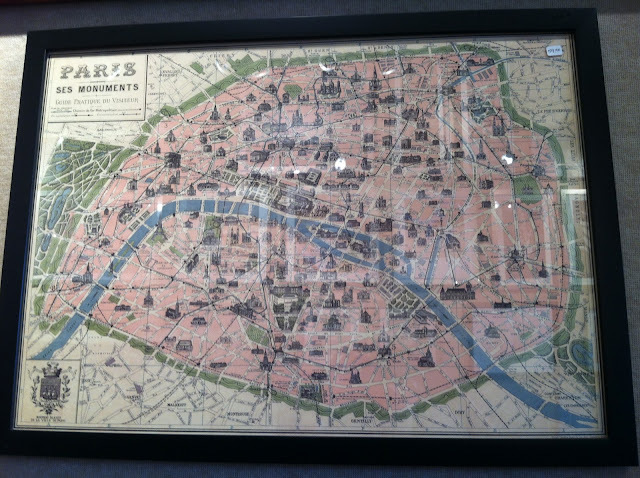 : Paris Map - Z Gallerie Style. Paris Map - Z Gallerie Style. 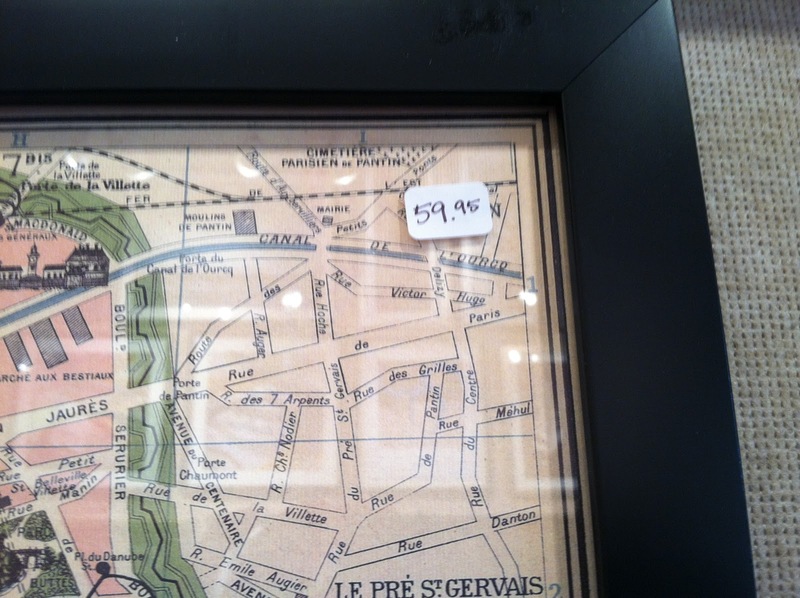 Remember my inexpensive Paris map art? If not, we framed a piece of wrapping paper from the Paper Source that was less than $4.00 in a cheap Ikea Ribba frame. Well imagine my surprise when I saw this at Z Gallerie the other day. (Excuse the crappy iphone pics.) The Z Gallerie version is substantially smaller because it doesn't have the thick mat, but otherwise, it's exactly the same! The price was $59.95 -- double what we paid for our "DIY" map! I actually like ours better, not only because it was cheaper, but because of the matting and its overall larger size. Note to self: If I like a piece of framed art at Z Gallerie, double check that Paper Source doesn't have the same wrapping paper that can be framed for much cheaper! I don't like Z Gallerie's at all! That really looks like you just slapped some paper into a frame. The matting makes SUCH a difference. I freaking love mats. Wow- yours looks so much better! Dont you LOVE that kind of thing? It makes me feel so good to know I beat the system, so to speak haha. I love it when stuff like that happens. I hope you did a little victory dance! That's great! I like yours better too! What a great idea to frame wrapping paper. I bet you could find a lot of neat patterns and ways to frame it. Thanks for sharing! oh what a brilliant idea!!! You could be eligible for a complimentary Apple iPhone 7. There's a chance you're qualified for a free $200 Ikea Gift Card. San Diego - Trip #1.